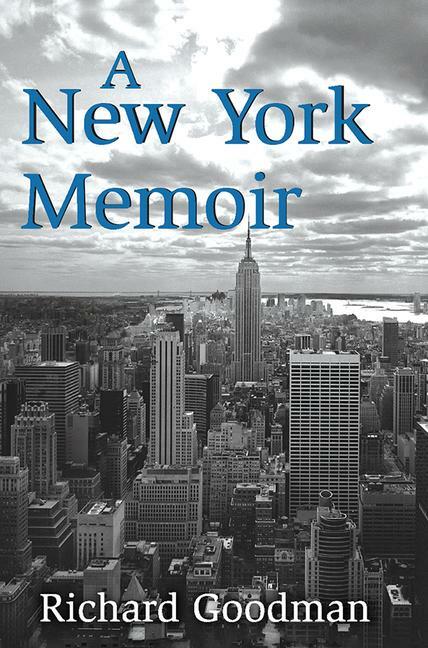 A New York Memoir is about a life lived in New York City over a period of thirty years. The memoir begins in 1975, with author Richard Goodman's arrival in New York, an intimidated newcomer. It follows him through the years as he encounters some of the remarkable people one meets in New York, while harkening back to the inspiration the city provides, especially for artists and young writers. The memoir follows the author as he witnesses tragedies and then ruminates on growing old in New York. It tells of the joys and the difficulties of living in this remarkable city. A New York Memoir is, essentially, a long love letter to the city. Like all great loves, this volume reflects passion, promise, hope, pain, regret and, ultimately, the author's pride. This includes true stories of love, work, marriage, raising a child, becoming a writer, death, and friendship. Most of the stories in this effort take place there; those that do not are highly influenced by New York. The author has seen New York at its best and at its worst, when was it rich and freewheeling and when it fell on hard times and almost collapsed. He's seen it grievously wounded, and seen it pick itself back up again with the help of the entire world and with its own limitless moxie. This is a very personal story set against the backdrop of a massive city of unmatchable energy and of sheer, brute authority and inspiration. The book ends with a long remembrance of the author's mother who came to New York after many travails and was rescued by the city. This is the story of Richard Goodman's encounter with New York. **See Richard Goodman read an excerpt from A New York Memoir titled, "Elegy for an English Bike," here.